GedScape is software that lets you view, manipulate, convert and extract text data from GEDCOM files (CSV, for import to Excel). It is available for both Windows and Mac computers. 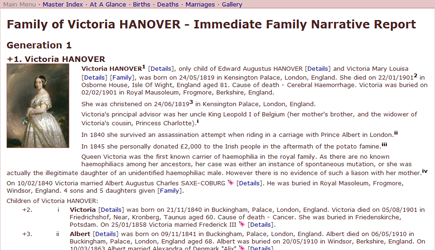 Browse a fully indexed family history created from your GEDCOM file. Easily view individuals and families, including photos, citations and notes with a simple, intuitive browser-style interface. 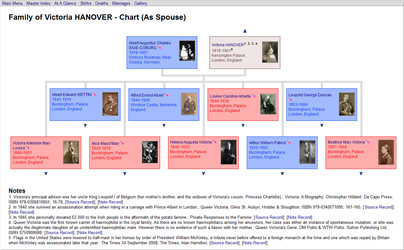 Display charts including pedigrees, family charts, and descendants charts. View summary tables of individuals with links to their individual records. 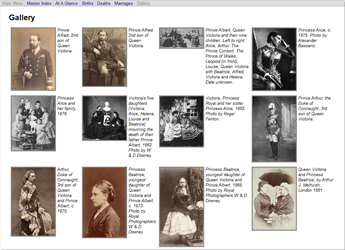 Create ancestor and descendant reports with photos and narrative descriptions. View a gallery of all photos. Browse the low-level structure of a GEDCOM file (i.e. at the tag level) but with hyperlinks to move within the file. Convert GEDCOM to text/CSV files e.g. 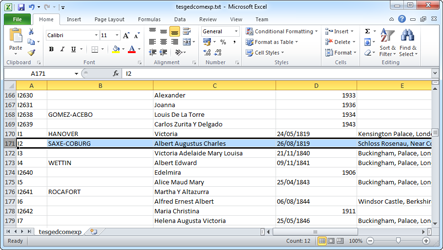 to extract GEDCOM data to spreadsheets such as Excel. Export new GEDCOM files with character set and text file conversion. Supports all valid character sets defined by GEDCOM 5.5.1 including ANSEL. Selectively exclude or 'privatize' chosen data/individuals from conversion/extraction or website generation, e.g. to remove specific individuals (and/or their ancestors/descendants), or to exclude individuals based on their date of birth so as to remove living people. Tag individuals to highlight them including in generated GEDCOM HTML pages. Supports the entire GEDCOM v5.5.1 specification so you can display all valid data. User Guide: A comprehensive User Guide is included (use the Help menu within GedScape). Alternatively view the GedScape User Guide online or download a PDF version here. - GedScape is a great GEDCOM browser, just drop the GEDCOM files onto GedScape and they immediately display using a browser-like display. - open in GedScape, tag the individuals you want, export as a new GED file, then import that into your genealogy database. - export a GEDCOM from your genealogy database, open that in GedScape, tag the individuals you want to share, re-export just the tagged individuals as a new GED file which you then distribute. - open the GEDCOM in GedScape, then re-export as a new GEDCOM using a different character set e.g. to convert from ANSEL, ANSI etc. to UTF (Unicode). - open the GEDCOM in GedScape, then re-export as a new GEDCOM but exclude citations/notes/multimedia. - open the GEDCOM file in GedScape, re-export as a text/CSV file, then open that in the spreadsheet. - export a GEDCOM from your genealogy database, open that in GedScape, adjust preferences to get the appearance you would like in your GEDCOM website, export from GedScape as a web site (thereby creating GEDCOM HTML files), then upload the HTML files to your web server. - export a GEDCOM from your genealogy database, open that in GedScape, then re-export as a new GED file using whichever character set and/or line endings you need. GedScape supports virtually all character sets used in GEDCOM files. GEDCOM is the de facto standard data format for exchanging genealogy data. The GEDCOM standard is defined by The Church of Jesus Christ of Latter-day Saints. Neither GedScape nor Tenset Technologies Ltd is associated with The Church of Jesus Christ of Latter-day Saints. All good genealogy database programs can generate GEDCOM files.